Gain increased horsepower and throttle response while protecting your engine from harmful particles and debris with Rough Country’s Cold Air Intake System. This intake system moves the air filter away from the stuffy engine compartment so cooler air can be circulated into the engine for an increase in power. Cooler air is denser, and brings more oxygen into the combustion chamber to help your vehicle perform at its greatest potential. 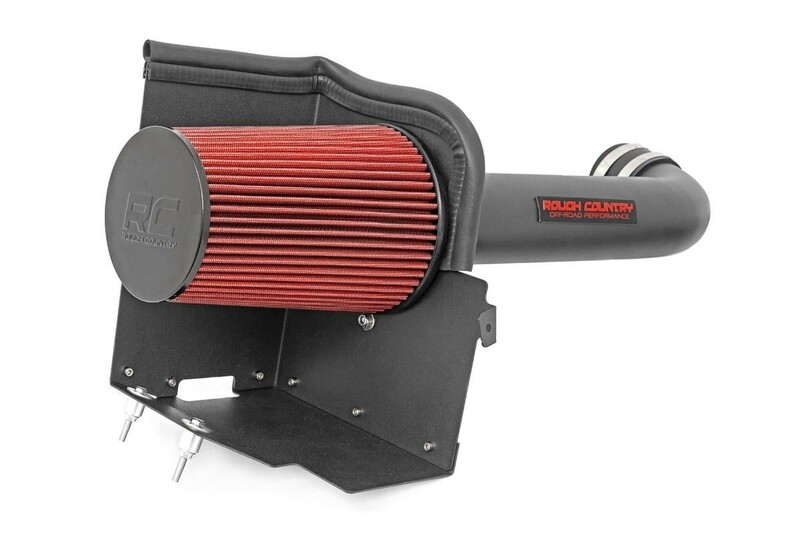 The cylindrical design and large diameter tube allow Rough Country’s Cold Air Intake System to provide far better airflow than the factory air filter enclosed in a box.